The reality is that school canteens are no longer just a once a week or once a term purchase for kids, many children are buying foods from the canteen every.single.day. There have been so many changes in the food, family and school environments in the last 20 years and the role of the canteen today is very different to the way it was 20 years ago. 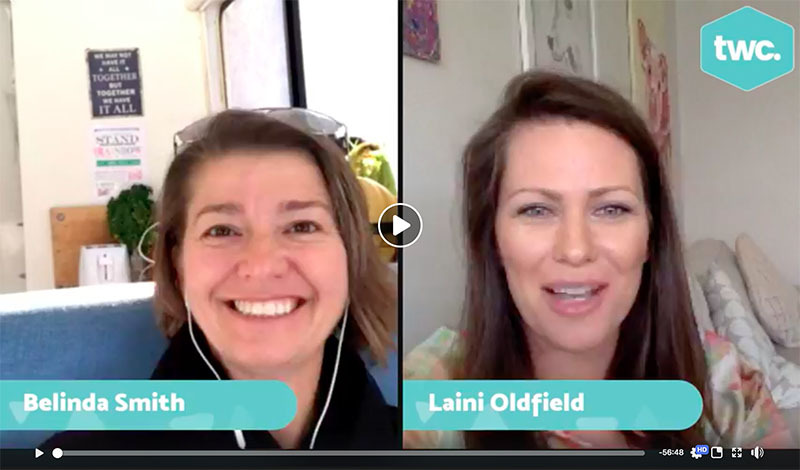 Watch this interview with Laini to find out more about Why We Should Care About Canteens. Are Canteens Supporting The Healthy Choices Message? At school, the PDHPE curriculum includes components about teaching children to make healthy choices. Topics of Every Day Foods and Sometimes Foods are talked about. Many schools also support this element of the curriculum with initiatives like Crunch n Sip or Munch n Moove. Initiatives that are promoted to children as healthy choices which are also called brain breaks. On one hand we’re giving the children these healthy food messages, but then what’s the message they are getting if the school canteen sells chips, sugar ladened flavoured milks and yoghurts, pies and sausage rolls? Or when the canteen has red food days? It’s a conflicting message that’s what it is. If canteens are the largest take out for Australian Children, then it means the food on offer should support the healthy food messages because they are no longer just a once in a month or term thing. The school canteen has become a big part of what children eat each day at school. I read this quote in a paper about Promoting A Healthy School Environment, I think it’s particularly relevant. Rewarding children with unhealthy foods in school undermines our efforts to teach them good nutrition. It’s like teaching children a lesson on the importance of not smoking, and then handing out ashtrays and lighters to the kids who do the best job in listening. Although with canteens we’re not talking about rewarding children with food, this quote to me just highlights how allowing foods which do not nourish kids bodies and brains to be sold in canteens undermines all the messages we’re giving them about making healthy choices. As a country, we need to start looking at canteens differently. We need to acknowledge that school canteen today is used differently to how it was 20 years ago. We need to acknowledge that every day kids are eating more processed convenience foods than they were 20 years ago. We need canteens to be the nourishing hub for children. At The Root Cause we have been searching for a partner to collaborate with that we feel can help schools transition to this new way of thinking. We think we have found the perfect partner in The School Food Project. They have been piloting transitioning canteens to healthy foods and are starting to put systems and processes which will be easy for schools to implement. Watch this space.